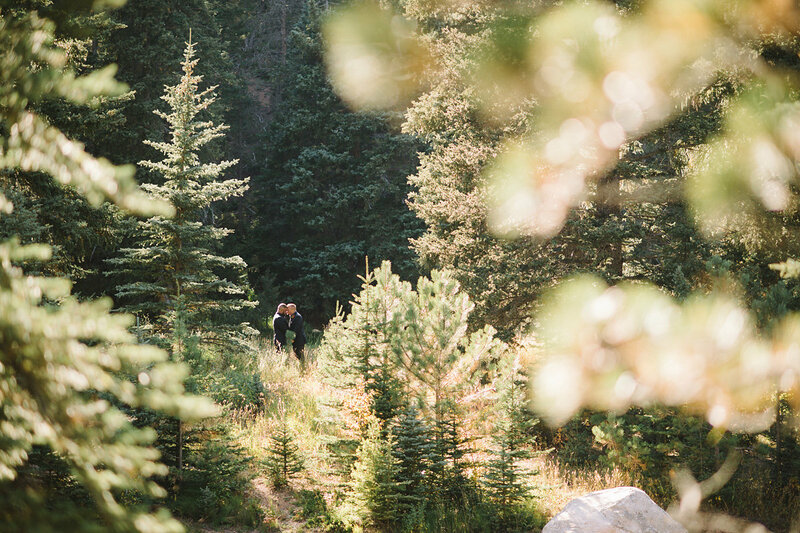 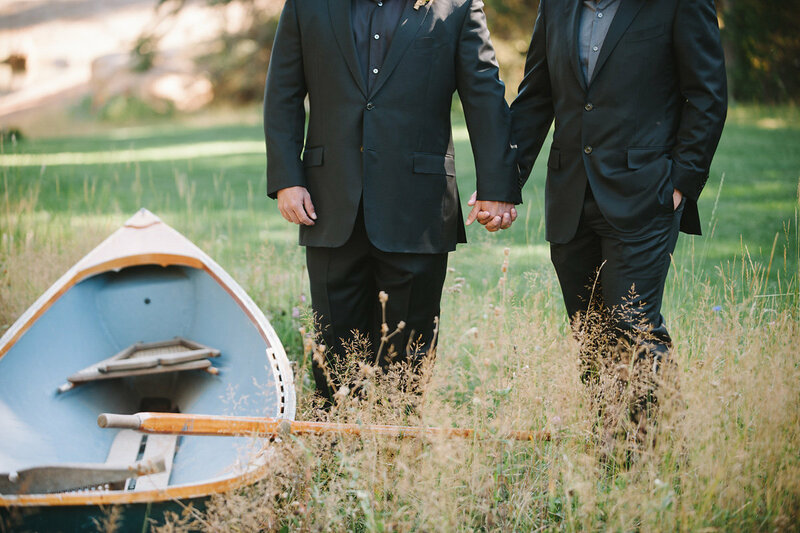 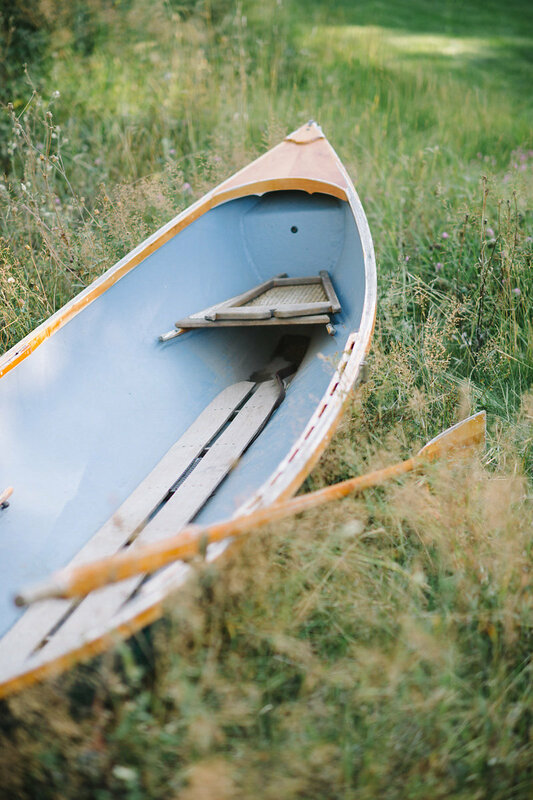 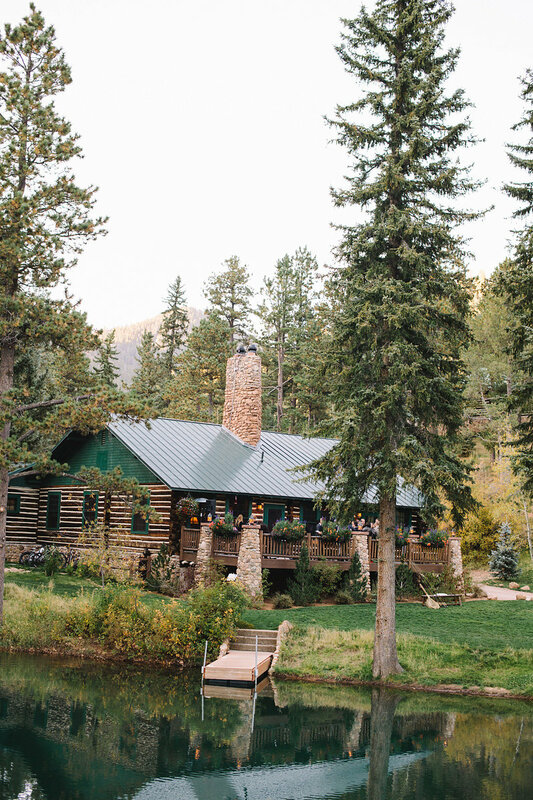 Jordan and Ben got hitched at The Ranch at Emerald Valley, giving their guests a true Colorado, wilderness experience. 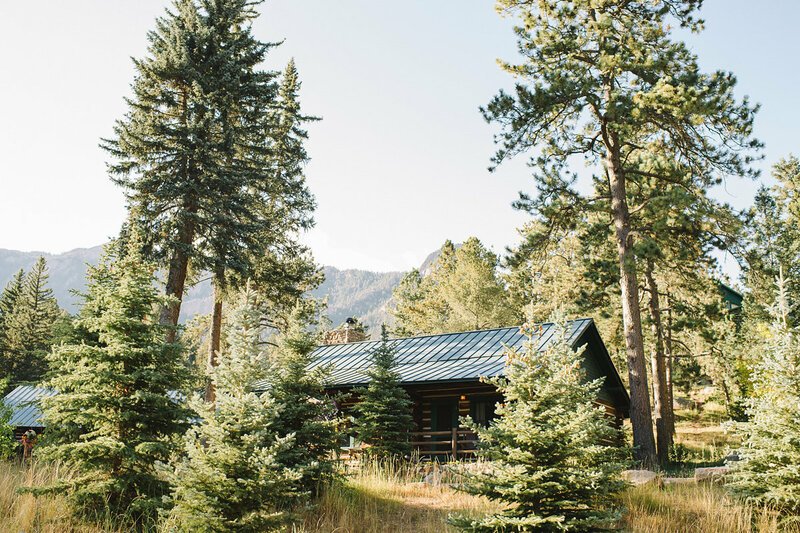 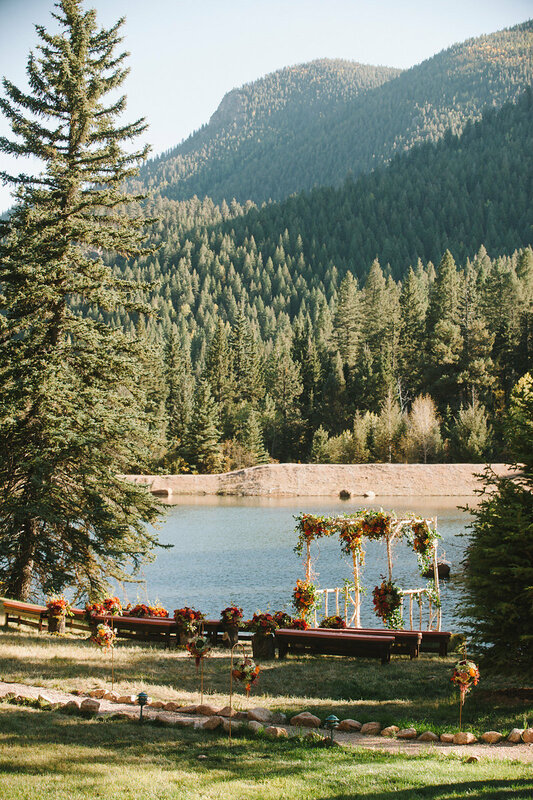 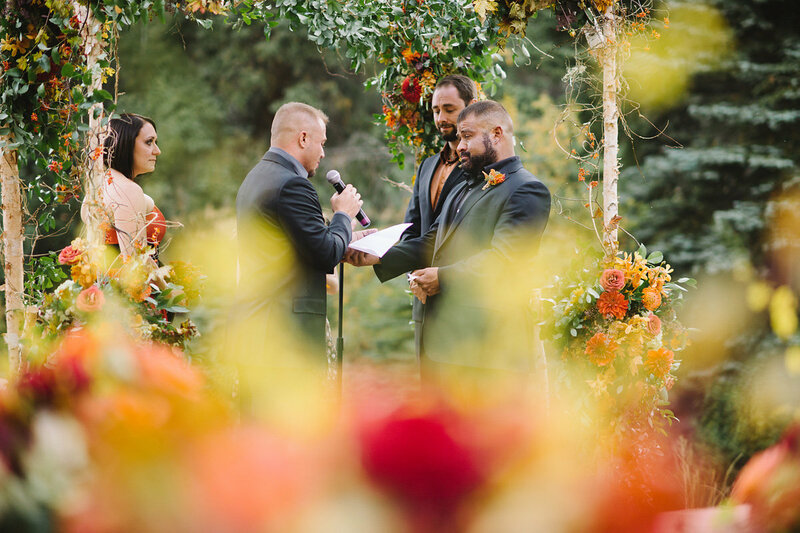 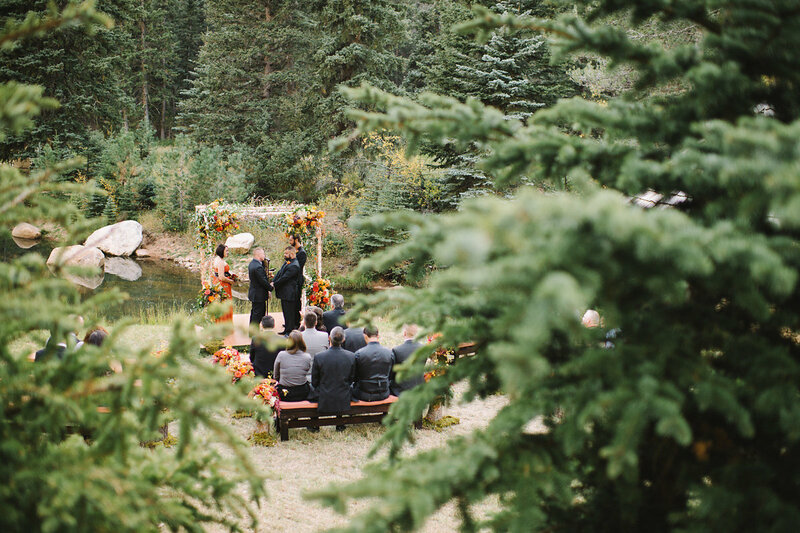 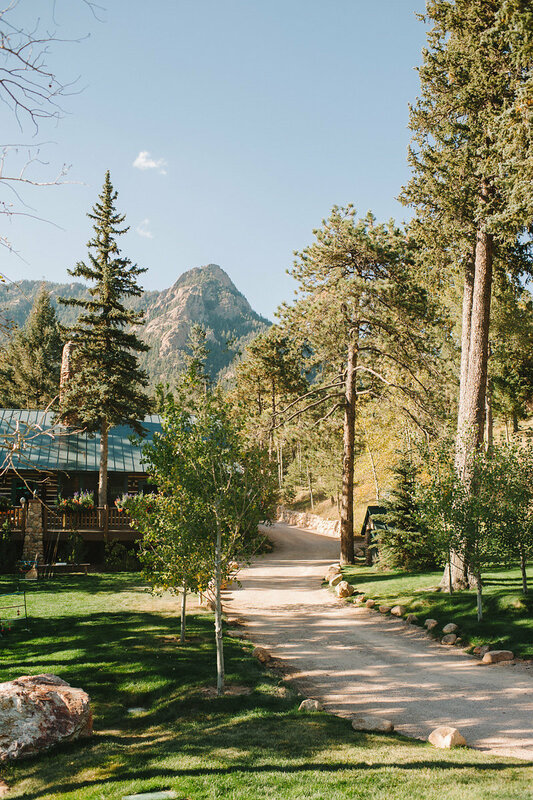 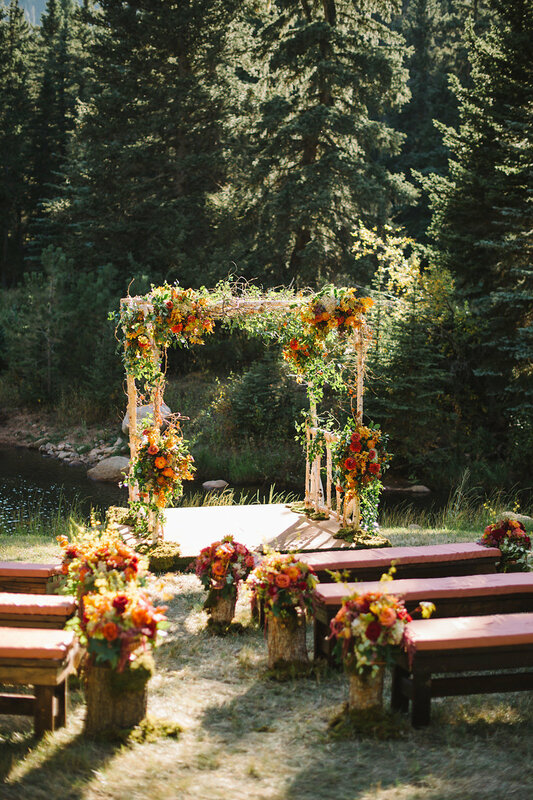 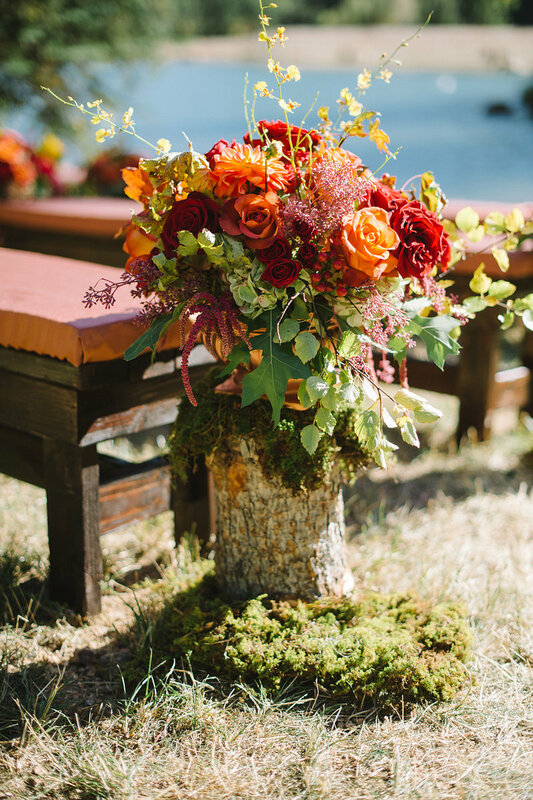 Surrounded by over 100,000 acres of the Pike National Forest, their ceremony and reception was tucked into this captivating hideaway. 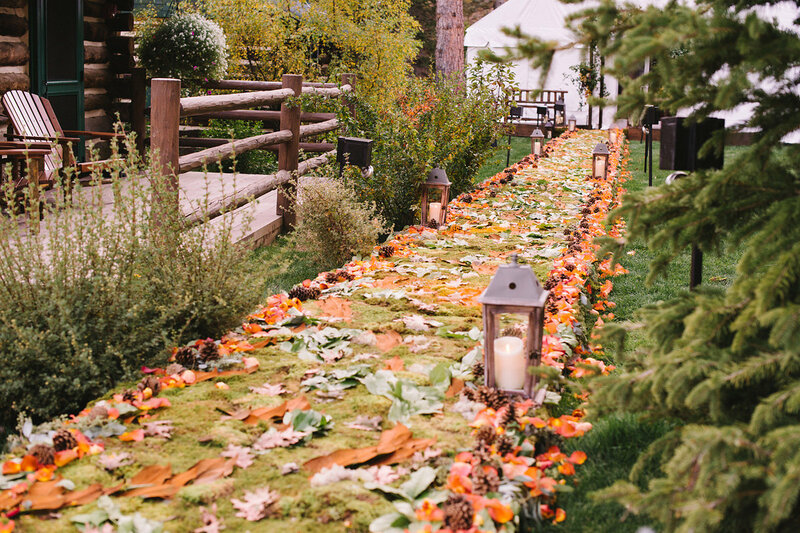 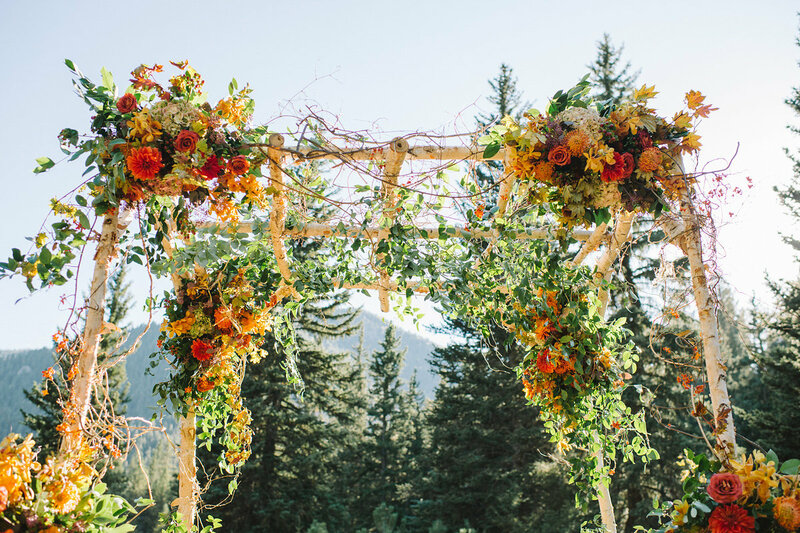 The ceremony arch was accented with organic fall toned florals, curly willow branches and hanging amaranthus. 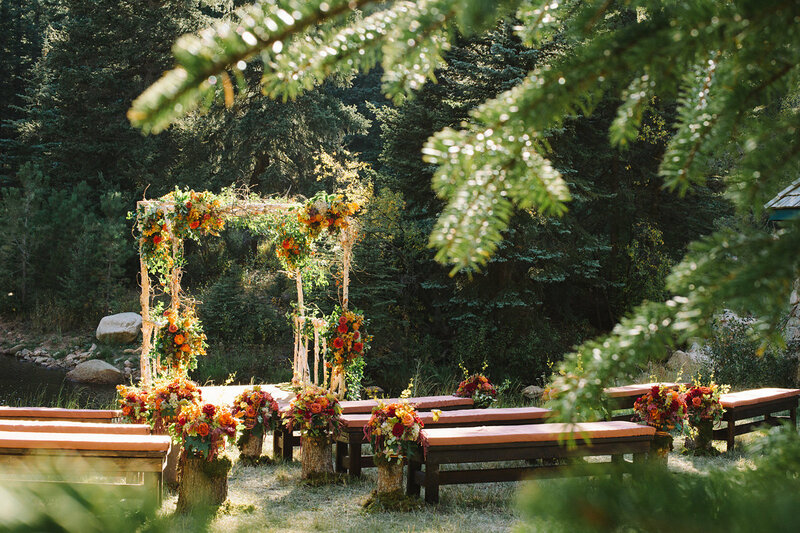 Deep toned benches and accents adorned the entrance and seating. 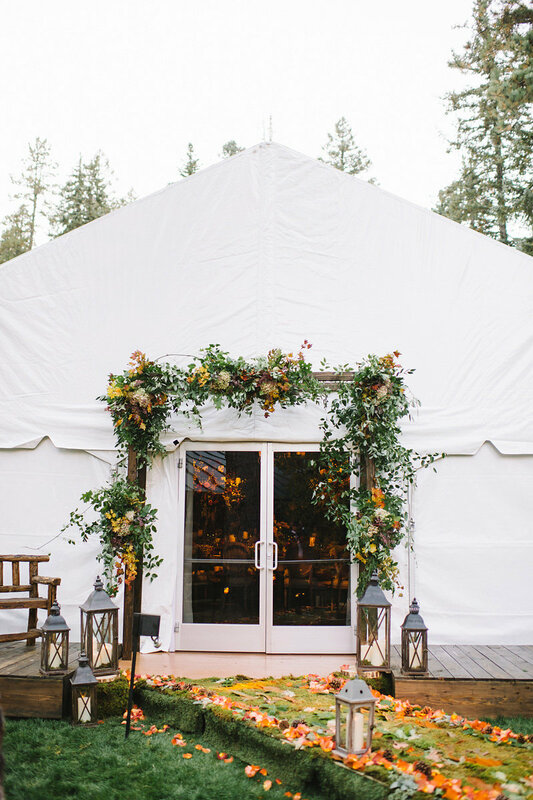 The reception tent was split in half, to allow for a formal dining experience and lounge area for a later, intimate setting. 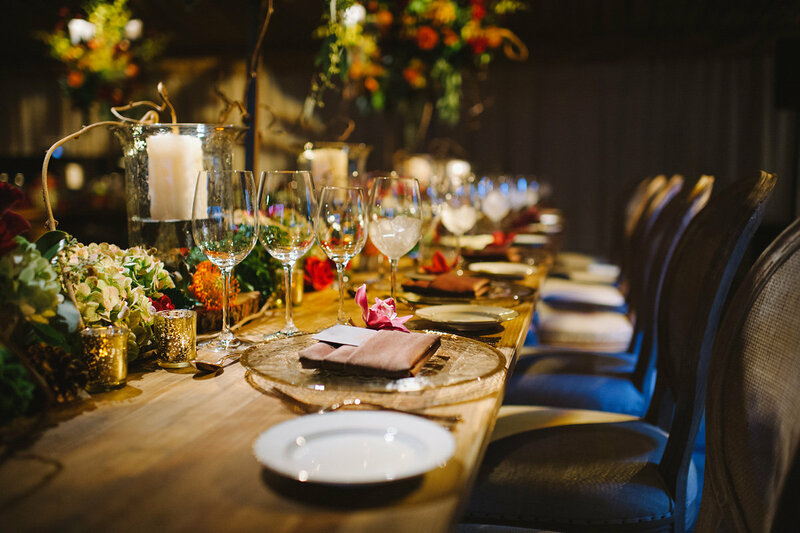 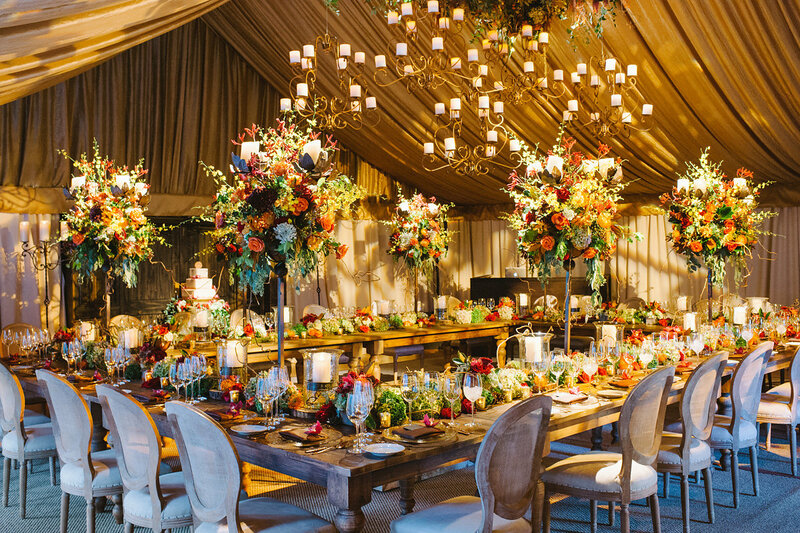 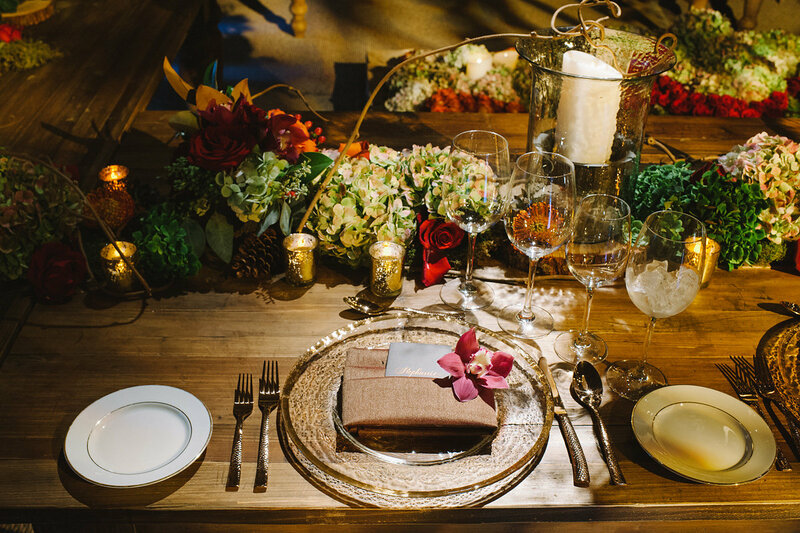 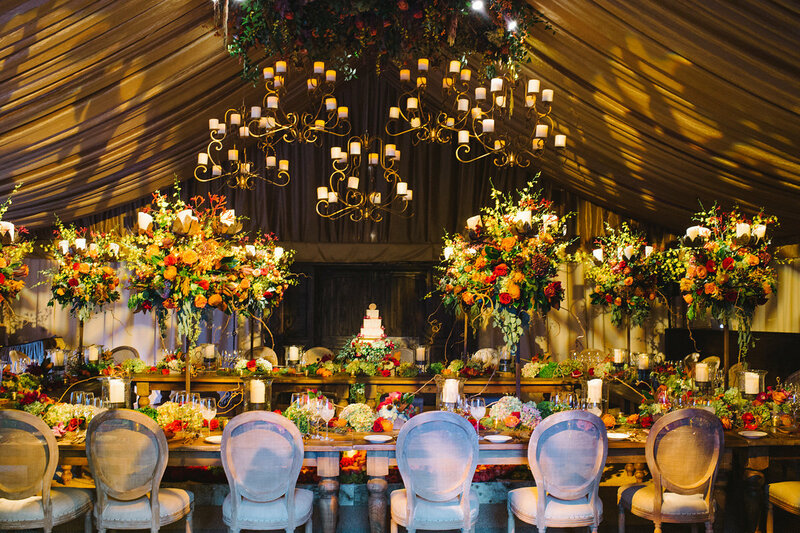 A large king’s table was the central focus point on the dining side, featuring stunning landscape style centerpieces. 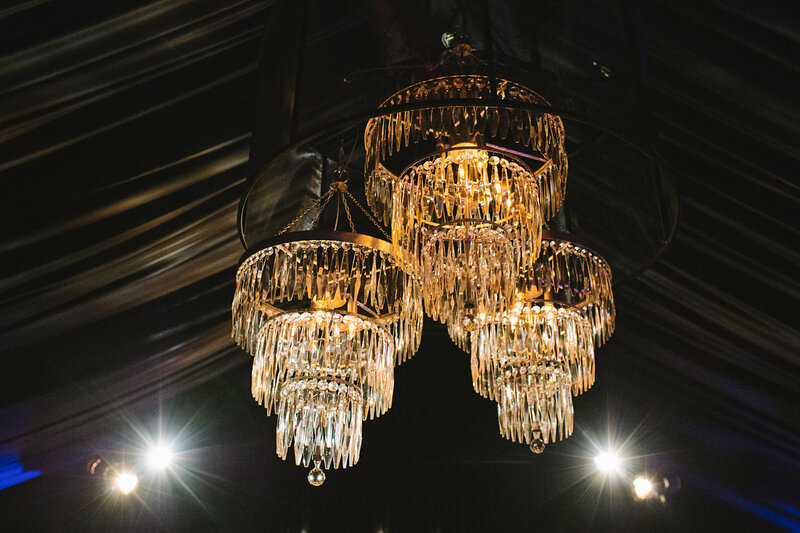 The lounge space was draped in rich velvets, acorn details, and large crystal chandeliers. 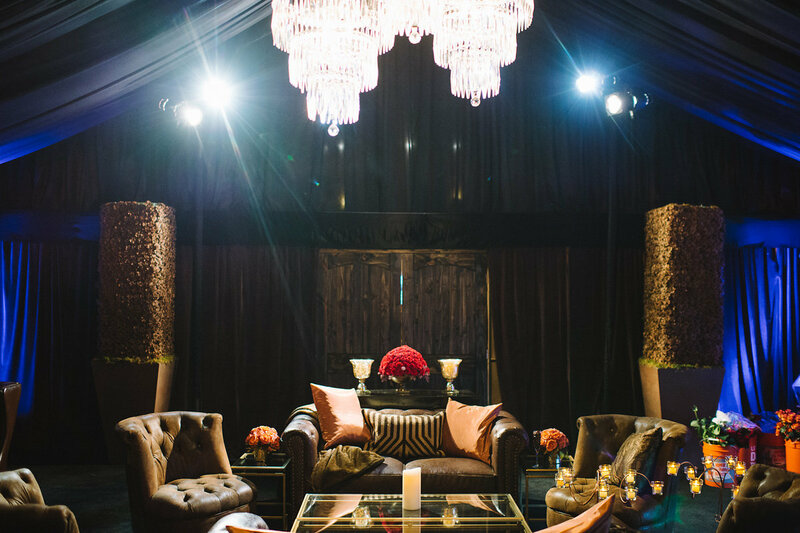 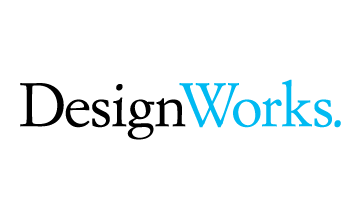 Ultimately, the “living room” feeling was enhanced with dark wood sofas and coffee tables.